Is this new form of PET scan perhaps too good at detecting prostate cancer? The new paper by Tripathi et al. describes the results of an imaging technique that uses a novel molecule known as [64Cu]TP3805 as a radioactive tracer along with PET scanning to image prostate cancer. The test identifies VPAC1, a super-family of G protein-coupled receptors, which is expressed in high density on prostate cancer cells, but not on normal cells. The text of a media release about this study, issued by Thomas Jefferson University, is also available on line. The study was conducted on just 25 patients scheduled for radical prostatectomy. Each patient was given a PET/X-ray scan prior to his surgery after receiving an injection of [64Cu]TP3805. Uptake of the [64Cu]TP3805 was determined for each patient; cancerous lesions evident on the scans were counted; and the presence of the cancerous lesions on the scans were compared with the histologic findings from biopsy samples and post-surgical prostate glands. The 25 patients scanned had 212 prostate gland lesions identified by [64Cu]TP3805 PET scans as compared to 127 lesions identified by histology of biopsy tissues. 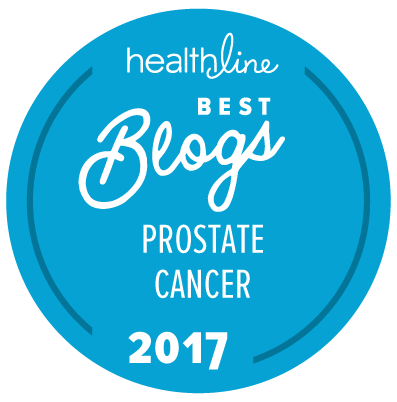 The precise status of the additional 85 additional prostate cancer lesions identified by [64Cu]TP3805 PET scans has yet to be determined. Ejaculatory ducts and verumontanum involved with cancer. 9 prostate cancer lesions not previously identified histologically. Positive and negative lymph nodes were correctly identified, and digital autoradiography results were negative in 3/3 tissue samples of benign prostatic hyperplasia and 5/5 cysts. Tripathi et al conclude that, in their in pilot study, [64Cu]TP3805 PET scans were capable of accurately identifying the presence of prostate cancer and provided normal images for benign masses. The authors also state that this pilot study justifies further research into the use of this novel technique (which is certainly true). The potential problem with this technique is going to be whether it can actually replace older methods of diagnosing prostate cancer. There is no current suggestion that [64Cu]TP3805 PET scans are capable of defining a patient’s Gleason score or any other risk factor defining aggressiveness of disease. And if this new type of scan can’t replace a prostate biopsy, then it is simply going to be a very expensive test that potentially adds to a patient’s risk for over-treatment. On the other hand, this may be a very useful test for some subsets of men who appear to be at high risk for clinically significant prostate cancer — even though they have a negative initial biopsy. Determining the practical value of many of the new tests (like this one) that we are now capable of developing will be very challenging in the diagnosis and management of prostate cancer in the near future. As a society, we clearly aren’t going to be able to afford to use all of these new tests in all of the men who might, hypothetically, benefit from their use. The “New” Prostate Cancer InfoLink believes that it will be incumbent on the developers of such new tests to provide a careful and transparent cost-effectiveness analysis that can be used to justify the use of tests like this in highly defined subsets of patients. Whether it will actually be possible to provide such compelling data to justify the regular clinical use of new imaging tests like this is one of the “great unknowns” at this time.